alaTest ha recogido y analizado 521 comentarios relacionados al producto Neato Botvac Connected. En promedio, la calificación para este producto es 4.3/5, al ser comparado con la calificación 4.6/5 de otros productos en la categoria productos. Los usuarios están encantados con el diseño y el tamaño. La relación calidad-precio consigue revisiones negativos. Hay algunas valoraciones heterogéneas respecto a la fiabilidad. Analizamos las valoraciones de los usuarios y los expertos, la edad del producto y demás factores. Comparado con otros productos el Neato Botvac Connected recibe una alaScore™ global de 93/100 = calidad excelente. Robot vacuum cleaners are cool, but not as cool as they used to be. After all, we now live in a world where almost everything has network connectivity and an accompanying app, so it's a lot harder to impress. The Neato Botvac Connected is the best-performing robot vacuum cleaner we've ever tested, and a better buy than the Roomba. At $700, it's the most expensive Neato yet -- $200 more than the previous generation. We also encountered a few usability quirks during testing. The Neato Botvac Connected is a bit expensive, but if you're looking for a robotic vacuum you can control with your smartphone, it's the one to buy. Wi-Fi-enabled. Well-designed app. Powerful suction. The Neato Botvac Connected has impressed us. It not only manages to seamlessly cross between varying floor surfaces, but it leaves them clean and it's able to cope well enough without being babysat. The Neato Botvac Connected is the best-performing robot vacuum we've ever tested. The new Neato app is well-designed and easy to use, and finally brings remote control functionality to the Botvac line. 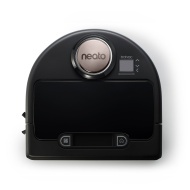 While the has been replaced by the as the flagship of the Neato line, it still holds its own and is a solid robot vacuum across the board and is definitely worth considering, especially if you have pet hair to clean up. Need extra help around the house? The Neato Botvac Connected is as reliable as it is capable. For now, it's the best connected robot vacuum you can get. Any device that's battery powered must compromise either size, power, or speed. But after thorough testing, we think the Neato Botvac Connected sits at the perfect crossroads of those three.